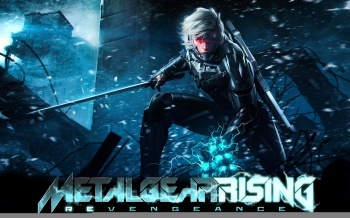 Kojima Productions has spent the better part of a decade turning the once-effeminate Raiden into a testosterone-infused badass. 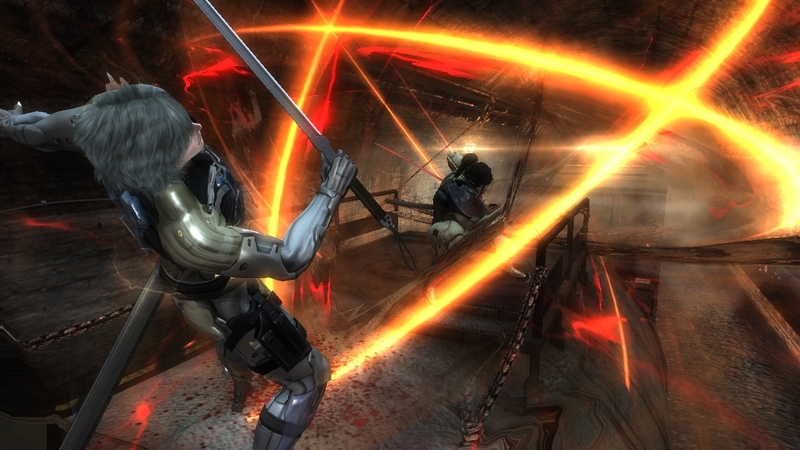 To help the studio reach this goal, they wisely placed Raiden in the hands of Platinum Games, a company that knows a lot about cybernetic martial arts. 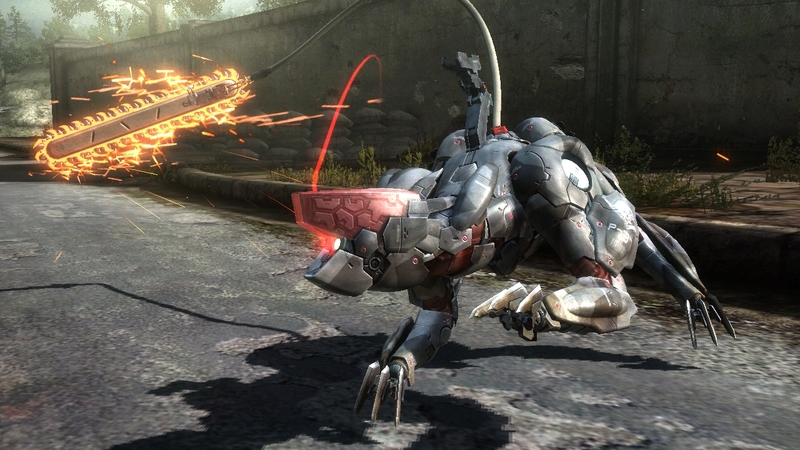 With Metal Gear Rising: Revengeance you can finally play the same freakishly skilled character that you could only watch in the cutscenes of Metal Gear Solid 4. The game mostly succeeds in pulling this off, even if this isn't Platinum Games at their best. 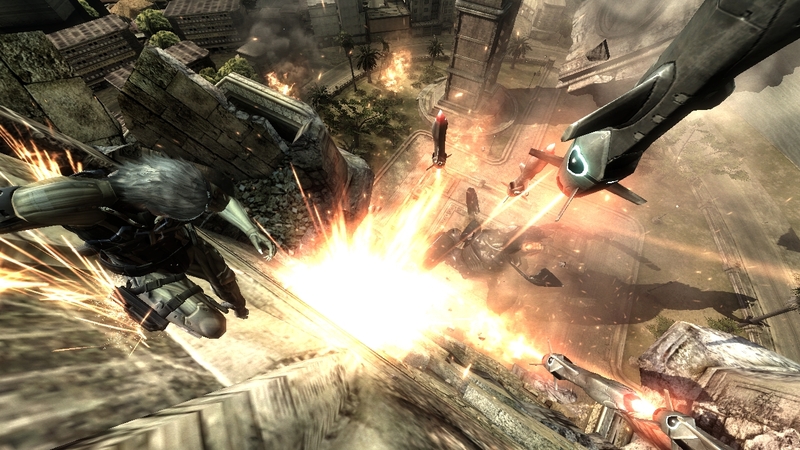 It is intriguing to experience a Metal Gear storyline that takes place after the events of Metal Gear Solid 4, especially considering the feeling of finality in that previous installment. Not having Solid Snake around does feel odd, but there is also a "clean slate" quality to Revengeance. 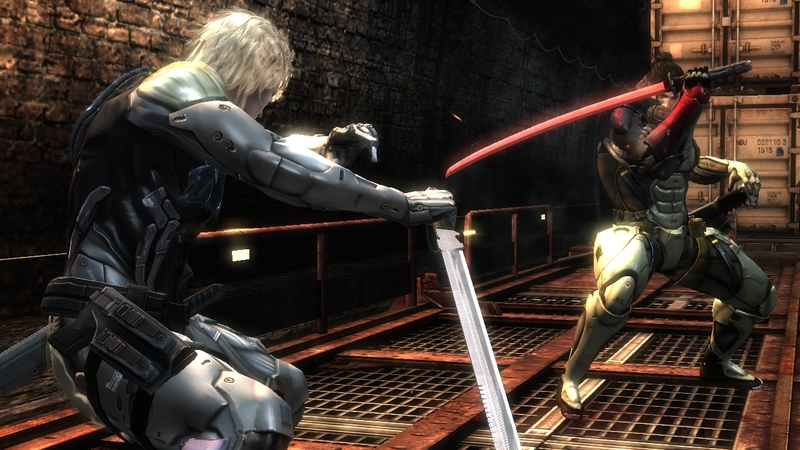 This is the first opportunity to see Raiden outside of Solid Snake's shadow. He continues to be a self-proclaimed agent of justice and he carries out assignments as an operative for a private military company. Many of his targets happen to be just as skilled as him, agents who work for PMCs that support terrorists. These missions make up the basic game flow of Revengeance. It follows the classic linear action game structure where there's a boss to look forward to at the end of each chapter. Presented in an expansive variety of third person views, the path to each boss is full of enemies of many sizes with some platforming areas in between. Raiden has enough moves and combos to take on any enemy, no matter the size, even if he needs to leap a couple stories to do so. Kills yield points, and those points can be spent on practical and cosmetic enhancements. Even though Revengeance is a spin-off, it is still canonical to the Metal Gear timeline and supported by liberal amounts of fan service. There's no new insight on the series' key players and events, but fan-familiar organizations like The Patriots do get the occasional namedrop. 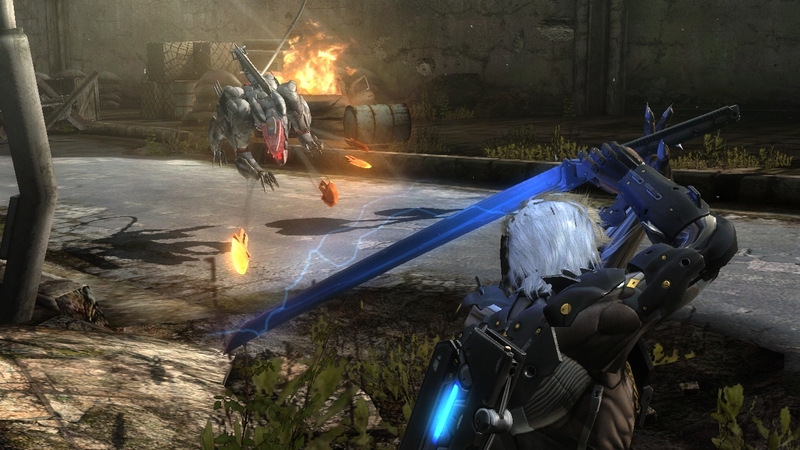 Like Snake, Raiden has his own support team, including the obligatory scientist and someone to save your game. There are echoes of quotes from previous games like "Kept you waiting, huh?" Just to thrash and be thrashed by familiar mechanized foes in ways not seen in previous Metal Gear games is fan service in itself. 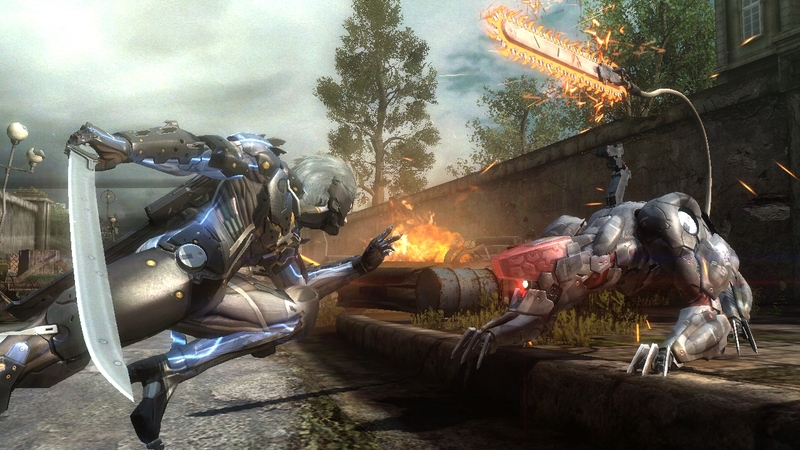 Raiden's new melee takedowns, especially in contrast to Solid Snake's ranged attack methods, look remarkable, whether the victim is the familiar Metal Gear Gekko or any of the new bosses. 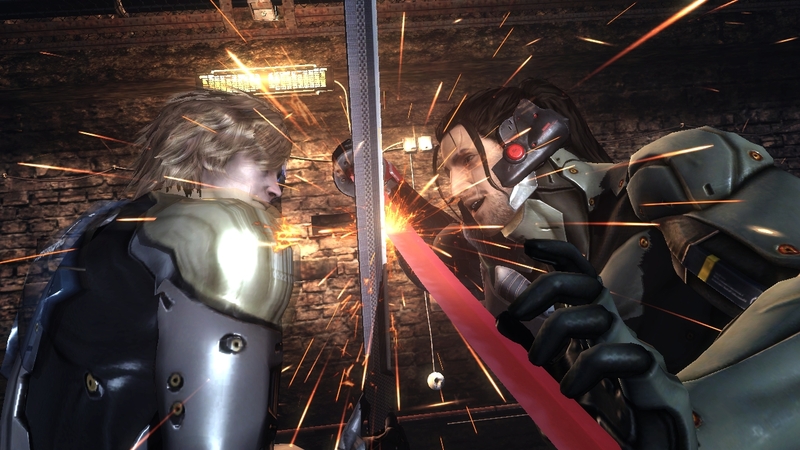 As fans might remember, Raiden took his first step toward the cyborg ninja arts when Solid Snake gave him his first high frequency blade. This transformation feels wholly complete in Revengeance, especially when you see him breakdance into a fight, wielding a blade with his feet. While he is still able to sneak, this isn't the Raiden of MGS2. If you have any doubts that an action based Metal Gear game would be just as engrossing as any of the sneaking-intensive titles before it, Platinum Games erases them before the end of the first hour. 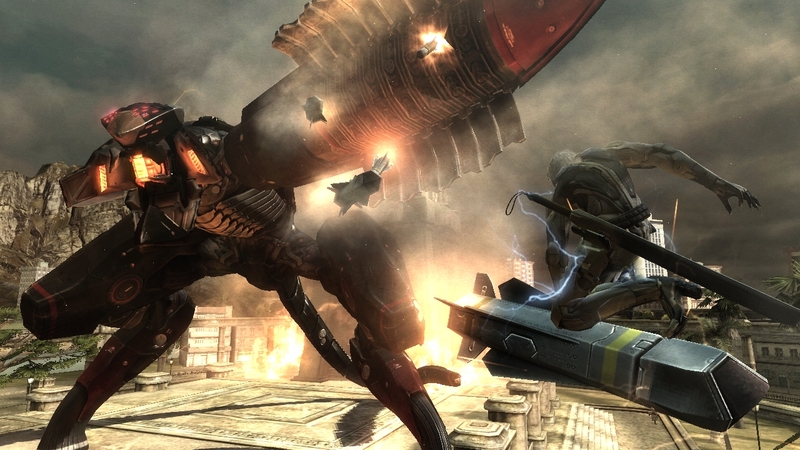 It's a thrill to see Raiden confront his mechanized nemesis from MGS2, Metal Gear Ray,and that's followed with a sequence where Raiden uses a stream of incoming missiles as a bridge to confront a gunship. 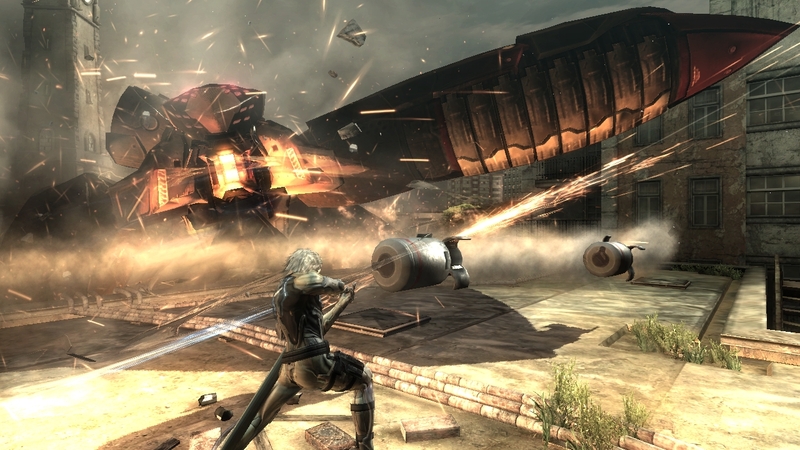 It's fittingly absurd, but not out of place when you recall Raiden's anime-inspired action sequences in MGS4.